This page lists articles or web pages where WRTC2014 has been mentioned in the Press. 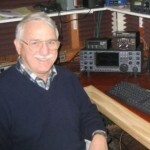 Pawling resident and amateur radio operator Lee Imber (amateur radio call sign WW2DX) was selected to compete in the World Radiosport Team Championship 2014, which was held July 9 to Monday. 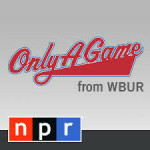 This quadrennial radiosport competition, the first held in the United States since 1996, was held across 16 New England communities. 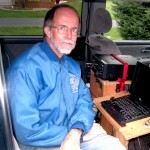 Imber received his first amateur radio license in 1987 at the age of 12 and has been active in the hobby ever since. DEVENS — John Crovelli sits in a tent crowded with the finest radio equipment, turning a knob and pausing as Morse code pours over the airwaves. “This station you’re hearing right now is in Brazil,” said the New Jersey resident while decoding the language in his head. He scours the airwaves again and more intermittent beeps resurface. 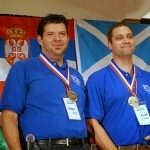 Crovelli and his teammate, George Demontrond, are one of 59 teams in the seventh World Radiosport Team Championship — think Olympics, but with Morse code as a second universal language. Satellites killed the military radio star operator long ago, but military veterans keep the art alive in competitions testing their ability to bounce signals off the ionosphere and contact amateur radio stations a half world away. In their minds, the contestants know technology has gone too far and the days of radio are past. Still, the intimate knowledge of the electromagnetic spectrum learned during a career in military and intelligence agencies offers some advantages. And the military’s love for antiquated communications is well established—from their use of signal flags to messages sent, teletype-style, in all capital letters. Ham radio competitions elicit a similar passion—and knowledge of some dying skills. 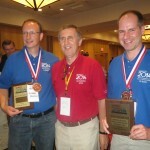 Current and former military service members will anchor two of the top teams gathering in the Boston area this weekend for what amounts to the World Cup of ham radio, officially the World Radiosport Team Championship 2014. To the untrained ear this sounds like nonsense, but to amateur radio operators it’s a way to communicate with people around the world. Operators use Morse code to call another operator on the same open radio frequency before switching over to spoken language to hold a normal conversation. Amateur radio, or “ham radio,” enthusiasts will tell you that it’s a fun hobby. 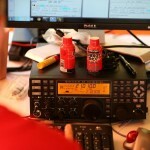 But for one weekend every four years, ham radio communication is treated like a major sport. 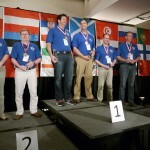 Lenexa resident and top amateur radio operator Alex Tkatch (amateur radio callsign KU1CW) has been selected to compete in the World Radiosport Team Championship 2014 (WRTC2014). This quadrennial radiosport competition, the first held in the United States since 1996, will be held across 16 New England communities from July 9 through 14. Known as the “Olympiad of amateur radio,” previous WRTC2014 competitions have been held in Seattle (1990), San Francisco (1996), Slovenia (2000), Finland (2002), Brazil (2006), and Russia (2010). Tkatch was born and grew up in Minsk, Belarus. He earned his training at Minsk Polytechnic Academy, traveling to the amateur radio club station on weekends, and received his first call sign at the age of 16. He became interested in radio competitions and has earned numerous regional victories from the US and abroad. 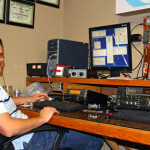 Tkatch credits amateur radio with having an impact on selecting his career. In 1982, he attended Belarussian State University and graduated with degree in Physics of Semiconductors. In 1992, Tkatch moved to the US, initially in New York, but later settling down in Kansas City, MO. 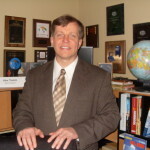 His career has included RF design Engineer, Telecom Design Engineer and now Technology Manager with Rohde & Schwarz USA, specializing in Telecom and Satellite Navigation. Tkatch lives in Lenexa with his wife Natasha, also an amateur radio operator. They have one daughter. A father gets set to compete, along with is son, in one of the most gruelling events in the world that requires antennas: the world HAM radio championship. Radio interview with WRTC2014 competitor Jeff Briggs, VY2ZM. Repeating his call sign and carefully turning the dial of his Elecraft radio, the lifelong ham radio enthusiast from Uxbridge listened as “Sugar Poppa two Yankee’’ – “Mark from north Poland” – greeted him through a patch of static. “I love knowing someone can hear me on the other side of the world,’’ said Thompson, sitting before a bank of radios and amplifiers in his home radio station. Just beyond his swimming pool, three antennas – 100, 90 and 40 feet tall – rose from the woods surrounding his house. That is jargon amateur radio operators use to let other “hams” know they’re on the air. Jim Stahl of Orange has said it countless times followed by his “call sign” K8MR. The retired television engineer is the leader of one of the 59 two-person teams from around the world selected to compete in the World Radiosport Team Championship July 9-14. The teams will be stationed in several suburbs surrounding Boston. 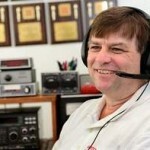 Bartlesville resident and top amateur radio operator Mark Beckwith has been selected to compete in the World Radiosport Team Championship 2014. The competition returns to the United States for the first time since 1996. It will be held across 16 New England communities from July 9th through 14th. Known as the “Olympiad of amateur radio,” previous team competitions have been held in Seattle, San Francisco, Slovenia, Finland, Brazil, and Russia. Beckwith received his first amateur radio license in 1971 at age 13. 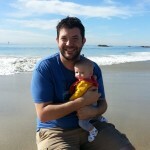 As a teenager he learned about radio competition from local radio clubs. Beckwith has been a professional musician since completing high school, having sung professionally on the opera stage across the country, conducting orchestras and choirs, and direct theatrical productions. In 1996 he and his wife founded nevus.org, a nonprofit organization dedicated to improving awareness and providing support for people affected by giant nevi, and finding a cure. 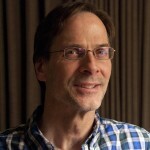 Beckwith serves as the organization’s chief executive. No sleeping. Not if you want to win. And John Barcroft wants to win. The San Diego resident is headed to Boston Tuesday for the World Cup of amateur radio, a quirky round-the clock contest featuring 59 two-person teams from 38 countries. At 8 a.m. on Saturday, the teams will be huddled in tents pitched here and there across 90 miles of New England countryside, radios tuned, headphones on, antennas up, searching for anybody else who might be on the air. They’ll have 24 hours to make as many contacts as possible, with more points awarded to connections in faraway places. Most points wins. So no sleeping. 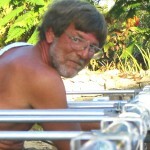 GRASSIE — John Sluymer has been social networking since 1972. There was no Twitter or Facebook when the Grassie resident first picked up a radio unit a little more than four decades ago. Instead of hashtags and status updates, Sluymer would either talk into his mic or tap out his message in Morse code. Just like today’s social networks offer users a chance to interact with people on all sides of the world, Sluymer’s hobby has allowed him to reach — both physically and through radio waves — even the most remote areas of the planet. LEOMINSTER — Sholan Farms is scheduled to host one of the sites being used for this year’s World Radiosport Team Championship the weekend of July 12. Other nearby sites hosting the competition include Devens and Pepperell, said Don Montrym, of the Montachusett Amateur Radio Association. The goal is for ham-radio operators to contact as many other radio stations as possible in 24 hours. “They work in teams of two,” Montrym said. Teams are coming from 38 countries around the world for the competition, he said. The last championship was held in Russia four years ago. The WRTC provides the sites and 40-foot antennas so operators only bring their radios. Sholan Farms will host two teams. Bozeman resident Chris Hurlbut has many hobbies, including hiking, fishing and playing with his ham radio. Did that last one seem unusual? Ham radio is a hobby in which licensed amateur radio operators transmit over the airwaves, both for fun and, sometimes, to provide emergency communications. 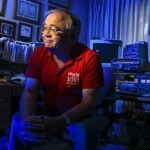 Top amateur radio operator Patrick Briggs, of La Jolla was selected to compete in the World Radiosport Team Championship, held every four years. This year’s competition, the first in the United States since 1996, will take place across 16 New England communities, July 9-14. Known as the “Olympiad of amateur radio,” previous competitions have been in Seattle (1990), San Francisco (1996), Slovenia (2000), Finland (2002), Brazil (2006), and Russia (2010). Pasadena resident and top amateur radio operator David Hodge (amateur radio callsign N6AN) has been selected to compete in the World Radiosport Team Championship 2014 (WRTC2014). This quadrennial radiosport competition, the first held in the United States since 1996, will be held across 16 New England communities from July 9 through 14. Known as the “Olympiad of amateur radio,” previous WRTC2014 competitions have been held in Seattle (1990), San Francisco (1996), Slovenia (2000), Finland (2002), Brazil (2006), and Russia (2010). “I think it all started when I stuck a hairpin in a light switch at the age of 3 or 4,” says Hodge, of his interest in amateur radio, “I felt firsthand the power of electricity, and half the lights in the house went out!” By the age of 14, Hodge had his first amateur radio callsign as a novice, and has grown into a respected radio contestor on the world stage. Rancho Cucamonga resident and amateur radio operator Daniel Craig (amateur radio call sign N6MJ) has been selected to compete in the World Radiosport Team Championship 2014 in Westborough, Massachusetts, beginning Wednesday. This quadrennial radiosport competition, the first held in the United States since 1996, will be held across 16 New England communities through July 14. Known as the “Olympiad of amateur radio,” previous competitions have been held in Seattle (1990), San Francisco (1996), Slovenia (2000), Finland (2002), Brazil (2006), and Russia (2010), according to a news release. A career pharmacy auditor, Craig was first licensed as a novice in 1989 at the age of 8, when he shared his home station with his dad, and brother, both avid radiosport enthusiasts. He has had the good fortune of being able to operate from some of the largest amateur radio stations in the country over the years. Other nearby sites hosting the competition include Devens and Pepperell, said Don Montrym with the Montachusett Amateur Radio Association. “They work in teams of two,” Montrym said, adding that teams are coming from 38 countries around the world for the competition. WESTBORO — The World Radiosport Team Championship organizers selected 16 New England communities as operating sites to host its seventh quadrennial radiosport competition July 9-14. The world’s top amateur radio operators will converge on towns spanning the Interstate 495 corridor for the “Olympiad of amateur radio,” WRTC2014, the first held in the United States since 1996. Operating sites for WRTC2014 include private properties, state parks and other state- and town-owned facilities in Mansfield, Wrentham, Devens, Assonet, Berkley, Dighton, Pepperell, Hollis, N.H., East Taunton, Plymouth, Carver, Leominster, Medfield, Cohasset, Hingham and Norwell, each carefully selected to establish a level playing field. MONTVILLE – Paul Whitman is a world-class ham and next month, he’ll have his chance to prove it. 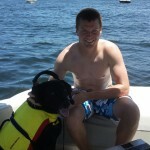 The 23-year-old Pine Brook resident and top amateur radio operator has been selected to compete in the World Radiosport Team Championship 2014. The quadrennial competition, featuring 59 amateur-radio operator teams representing 38 nations, will take place in 16 New England communities, the first time the event has been held in the United States since 1996. FLEMINGTON – As a nine-year-old boy living in Liberty Corner, John Crovelli bought an old Philco ham radio for 50 cents at a farm fair auction. That small purchase turned into the hobby of his lifetime. 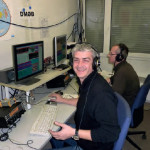 Crovelli (callsign W2GD), who now resides in Flemington and is a top amateur radio operator, will compete in July during the World Radiosport Team Championship 2014 (WRTC2014) in Boston. The competition, which was first held in Seattle in 1990, is known as the “Olympiad of amateur radio.” WRTC2014, running from July 8 to 14, will include 59 competing teams from 29 qualifying regions around the world. 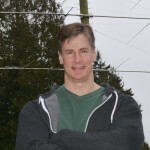 Camano Island’s top amateur radio operator, Mitch Mason, has been selected to compete in the World Radiosport Team Championship 2014 (WRTC2014). This quadrennial radiosport competition, the first held in the United States since 1996, will be held across 16 New England communities July 9-14. WRTC2014 pits 59 two-operator all-star amateur radio teams, representing 38 countries, in a battle of operating skill and strategy under emergency field conditions. Similar to Olympic athletes, competitors hone their skills for superior performance through mental and physical conditioning, talent, skill and strategy. 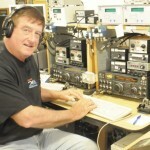 San Diego resident and top amateur radio operator John Barcroft (amateur radio callsign K6AM) has been selected to compete in the World Radiosport Team Championship 2014 (WRTC2014). 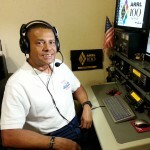 Hialeah Gardens resident and top amateur radio operator Julio Henriquez (amateur radio callsign AD4Z) has been selected to compete in the World Radiosport Team Championship 2014 (WRTC2014). 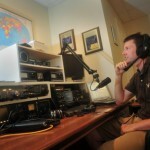 McLean resident and top amateur radio operator Scott Redd (radio callsign K0DQ) has been selected to compete in the World Radiosport Team Championship 2014 (WRTC2014). A lifelong obsession with amateur radio started for Kevin Stockton as a teenager, snatching brief bursts of conversation with his father from far-flung destinations like Namibia and the Maldives. The Arkansas native, now a speech therapist in the Cayman Islands, vividly recalls tuning in late at night to hear his father’s familiar voice crackle over the airwaves. From there, his enthusiasm for amateur radio developed into a passion that will see him compete next month in the World Radiosport Championships in the U.S. 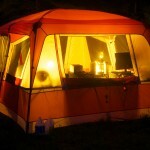 The contest pits the best amateur or “ham radio” operators from around the world against each other – challenging them to make as many “contacts” as possible with other enthusiasts across the globe in a 24-hour period. 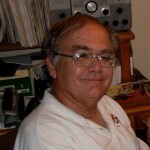 K1ZZ’s editorial talks about the role of WRTC2014 in the ARRL Centennial celebration. One page article about WRTC2014 by K5ZD provides general information on the WRTC concept and ways that everyone can participate. 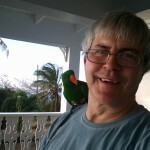 Hunterdon County, New Jersey (My9NJ) — Paul Franson and John Crovelli up in Hunterdon County, New Jersey have been “Elmers” or amateur “HAM” radio operators since they were kids. “I started when I was twelve or so in 1962,” Franson recalled. “That was the thrill and remember this is before satellites, this is before internet, in our town this is even before dialed phone,” Crovelli explained. Both men are retired and both compete in ham radio tournaments. Crovelli’s even going to the World Radiosport Team Championship this year which is a 24-hour event considered the Olympics of amateur radio. The objective? The World Radiosport Team Championship (WRTC) organizers have selected 16 New England communities, including Carver, MA, as operating sites to host its 7th quadrennial radiosport competition, the first held in the United States since 1996. From July 9 through 14, the world’s top amateur radio operators will converge on towns spanning the Route 495 corridor for the “Olympiad of amateur radio,” WRTC2014. Previous WRTC competitions have been held in Seattle (1990), San Francisco (1996), Slovenia (2000), Finland (2002), Brazil (2006), and Russia (2010). WRTC2014 pits 59 two-operator all-star amateur radio teams, representing 38 countries, in a battle of operating skill and strategy under emergency field conditions, for personal and national pride on a world stage. Similar to Olympic athletes, competitors hone their skills for superior performance through mental and physical conditioning, talent, skill and strategy. This form of competition evolved as a method of practicing emergency communication, but also serves as a laboratory for technology innovation and experimentation, much like other technical sports, such as motor sports or sailing. More than 100 amateur radio operators will come together in Mansfield and Wrentham to compete in the World Radiosport Team Championship in July. 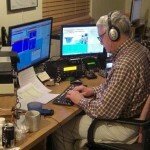 The two towns are among 16 Massachusetts communities chosen to host the amateur radio, or “ham radio” as it’s often called, competition in which 59 two-person teams will attempt to contact as many stations around the globe as possible in 24 hours using voice, Morse code and digital transmissions. The contest, held every four years, is designed to help operators prepare for real-world disaster situations, such as the Boston Marathon bombings, during which cellular networks were overloaded and radio was one of the only means of communication. 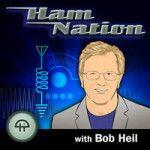 CABINET.com – A global sporting contest drawing teams from 38 countries is coming to Hollis this summer as part of its first appearance in the U.S. since 1996 – although it concerns an activity, ham radio, that many people don’t think of as a sport. Tell that to the folks who’ll be spending 24 hours straight, no sleep, contacting 3,000 or more stations around the world. “It’s exhausting,” said Doug Grant of Windham, who won a gold medal once and bronze medals twice at the quadrennial World Radiosport Team Championship. 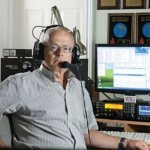 WRENTHAM PATCH.com – The World Radiosport Team Championship (WRTC) organizers have selected 16 New England communities, including Wrentham, MA, as operating sites to host its 7th quadrennial radiosport competition, the first held in the United States since 1996. From July 9 through 14, the world’s top amateur radio operators will converge on towns spanning the Route 495 corridor for the “Olympiad of amateur radio,” WRTC2014. Previous WRTC competitions have been held in Seattle (1990), San Francisco (1996), Slovenia (2000), Finland (2002), Brazil (2006), and Russia (2010). WRTC2014 pits 59 two-operator all-star amateur radio teams, representing 38 countries, in a battle of operating skill and strategy under emergency field conditions, for personal and national pride on a world stage. Similar to Olympic athletes, competitors hone their skills for superior performance through mental and physical conditioning, talent, skill and strategy. This form of competition evolved as a method of practicing emergency communication, but also serves as a laboratory for technology innovation and experimentation, much like other technical sports, such as motor sports or sailing. 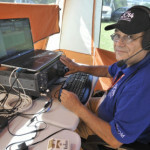 PLYMOUTH PATCH.com – The World Radiosport Team Championship (WRTC) organizers have selected 16 New England communities, including Plymouth, MA, as operating sites to host its 7th quadrennial radiosport competition, the first held in the United States since 1996. From July 9 through 14, the world’s top amateur radio operators will converge on towns spanning the Route 495 corridor for the “Olympiad of amateur radio,” WRTC2014. Previous WRTC competitions have been held in Seattle (1990), San Francisco (1996), Slovenia (2000), Finland (2002), Brazil (2006), and Russia (2010). SOUTHGATE AMATEUR RADIO NEWS.com – The World Radiosport Team Championship (WRTC) organizers have selected 16 New England communities as operating sites to host its 7th quadrennial radiosport competition, the first held in the United States since 1996. From July 9 through 14, the world’s top amateur radio operators will converge on towns spanning the Route 495 corridor for the “Olympiad of amateur radio,” WRTC2014. Previous WRTC competitions have been held in Seattle (1990), San Francisco (1996), Slovenia (2000), Finland (2002), Brazil (2006), and Russia (2010). WRTC2014 competitors DK6XZ and DK9VZ both operate from the Mercedes Benz club station DM0B. Attached pdf file is extracted from the yearly magazine “Sportstar” of SG Stern. It is read by the Mercedes-Benz works employees and SG Stern members in Rastatt. 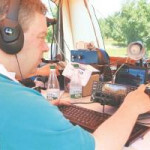 HOLLIS – A global sporting contest drawing teams from 38 countries is coming to Hollis this summer as part of its first appearance in the U.S. since 1996 – although it concerns an activity, ham radio, that many people don’t think of as a sport. Radiosport Championship Returns to U.S. The World Radiosport Team Championship returns this summer to the United States after 18 years. This global gathering — an Olympic-style competition between the world’s elite amateur radio contesters — is back on home soil for 2014. The event, scheduled for July 8–14, promises to light up the ionosphere above Massachusetts. What is radiosport? It’s the competitive use of amateur radio. Amateur radio operators don’t get a lot of media attention. For example, I do not recall anyone reporting the story of the dozens of hams who set up an alternative emergency communications along the entire route of the 2014 Boston Marathon. We hear a little bit more about them when severe weather rolls in and the volunteer “weatherspotters,” often radio amateurs, trained by the National Weather Service’s Skywarn program, are interviewed by the weathercasters on TV. The Eastern Massachusetts coordinator for Skywarn just happens to be a New Bedford fellow, Rob Macedo, a radio amateur who told me he spends a lot of time in the National Weather Service’s amateur radio shack, collecting reports from the spotters. Mostly, though, being a radio amateur is a great way to pass the time and make friends all over the world. Marty Jordan of Dartmouth, a member of the SouthCoast Massachusetts Amateur Radio Group, told me he parks his car by the beach and uses his mobile radio to make contacts just about anywhere. He was particularly proud to have bounced his signal into the ionosphere to talk with another amateur in Ukraine. 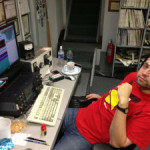 MANSFIELD PATCH.com – The World Radiosport Team Championship (WRTC) organizers have selected 16 New England communities, including Mansfield, MA, as operating sites to host its 7th quadrennial radiosport competition, the first held in the United States since 1996. From July 9 through 14, the world’s top amateur radio operators will converge on towns spanning the Route 495 corridor for the “Olympiad of amateur radio,” WRTC2014. Previous WRTC competitions have been held in Seattle (1990), San Francisco (1996), Slovenia (2000), Finland (2002), Brazil (2006), and Russia (2010). I4UFH interview published on Resto del Carlino of 26 April 2014, on the participation to the WRTC 2014, at IY4FGM during International Marconi Day “, on the occasion of the commemoration of the 140 anniversary of the birth of Guglielmo Marconi. 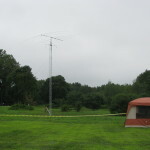 Hollis, a hotbed of ham radio, is one of 16 New England places that will host the 2014 World Radiosport Team Championship. In this global competition, amateur-radio teams around the world will establish identical setups (same antenna, gear) and between July 9 and 14 will enact emergency scenarios to see which can make the most voice and Morse connection with teams around the world in 24 hours. You can follow scores online – or go to Hollis to watch, of course. This is the first time it will be held in the U.S. since 1996. Pepperell, Devens and Leominster are among the 16 New England communities chosen to host the World Radiosport Team Championship this summer. The competition, which will attract 59 two-person amateur radio teams from 38 countries, tasks amateur radio operators with making as many contacts as possible in a simulation of emergency conditions. 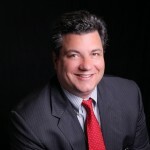 Radio competitions help operators prepare for real-world emergency scenarios, such as hurricanes or situations like the 2013 Boston Marathon, in which radio is often one of the most efficient means of contact, Guilmet said. 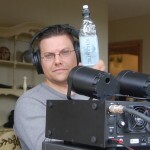 “Radio contesting is really all about being able to make contacts with other individuals from around the world in some terrible radio conditions, and doing that in a very efficient way and very quick way to handle the communication traffic. In an emergency or disaster situation it means you’re able to get a signal through to another radio station that is requesting aid,” Guilmet said.